Jack and Jules has an exciting new location! Location, Location, Location!! Location is everything and Jack and Jules has the perfect location for our Fall/Winter Event. 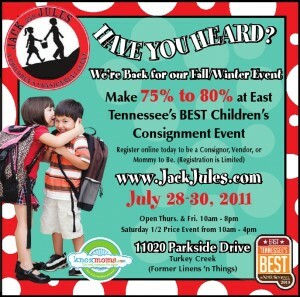 Jack and Jules will be located at 11020 Parkside Drive in the former Linens-N-Things Building at Turkey Creek!! With thousands of shoppers everyday, there is NO BETTER exposure than Turkey Creek. 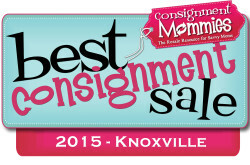 With thousands of shoppers and East Tennessee’s Best consignors, the Fall/Winter event is sure to be the BEST one yet!